We spend a lot of time discussing how businesses can protect themselves from extreme weather and other climate concerns. However, what about when a business itself is directly or even indirectly responsible for an event that negatively impacts the environment? In 2019 the corporate veil has been lifted and companies are being held accountable by governing bodies, environmental agencies, and the public alike. Criminal and civil action can come from anyone of these watchdog groups. Canadian Underwriter reports that both environmental lawyers and underwriters contend that it’s not just big organizations that face this risk, smaller operations could also be held liable. It’s not just waste disposal, but eco-contamination connected to the products and services your provide, or failure to comply with recently updated provincial and municipal bylaws. Admittedly there are some grey areas. But, by following the tips below, your business will show that it has performed due diligence, which may help protect you from liability while protecting the environment in the process. If you have a boss, shareholders, or a franchisor, you will want to get buy-in on the environmental liability prevention plan. Let them know that claims are typically made against corporate directors, even if they had absolutely nothing to do with the contamination. They must be prepared to prove that they themselves have exercised due governance when it comes to eco-friendly initiatives. With their backing, you may get the financial investment needed to make changes. The cost of doing so can pale in comparison not only to environmental impact (harder to define) but to claims made against the company and its officers (easier to define). A lot of attention is paid to environmental responsibility regarding manufacturing, use, and disposal involved in products or products and services. However, some commercial enterprises neglect to keep up to date on municipal, provincial, and federal energy efficiency updates. Effective December 2018, the Province adopted the latest edition of the British Columbia Building Code. If you own the brick and mortar where you conduct business, it’s time to review. Don’t think energy efficiency will impact liability? There are many ways it can, including ones you may never have anticipated. For example, did you know that last year Vancouver enacted a zoning bylaw that requires anyone who places their residential home on the short term rental market (Airbnb, etc.) to secure a business license? As a business, any failure to make eco-friendly building code updates could put occupants at health risk. For instance, poor insulation could lead to mold/mildew growth that has a respiratory impact on occupants, and given that the owner would now be operating under a business license, they could face claims accordingly. There are many variables at play when it comes to your commercial building, so be sure to update the space to account for building codes, as they are in place to protect the environment and those that live within it, your customers included. Your business will need to define and document an Environmental Action Plan (EAP) and consider environmental impact of Standard Operating Procedures (SOPs). Consult with both local environmental agencies (more on this below) and your staff, as the latter will have deep insight into how a given practice (deliveries, disposal, manufacturing, etc.) may pose a risk. Also delegate responsibilities by fit. Someone on staff will be especially passionate about the process, so take advantage of this valuable human resource. Once the EAP and relevant SOPs have been defined, provide training to all staff and stakeholders, and make the policy public by sharing the news via a corporate press release. With this policy in place, you will also want to keep up to date with any provincial addendum to environmental law, and update your own policy accordingly. Never assume that your business is isolated from this risk. You will need to do some homework regarding the scope of your unique business and the potential environmental impact of operations. For one, reference British Columbia’s Environmental Management Act and Contaminated Sites Regulation, which dictates various principles of liability for the cost of cleaning up contaminated sites in BC. To find out if you fall under the Ministry of Environment’s definition of “responsible persons”, reference their Site Remediation Liability resource center. For major projects, you can learn more about the Environmental Assessment Process in BC, here. 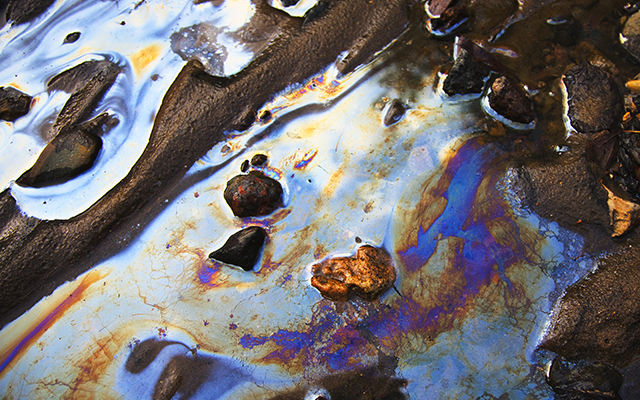 Environmental liability for corporations is ever-evolving, as is protection against claims. The above measures will help you manage your risk of exposure, but be sure to secure the most comprehensive commercial insurance possible. Have an independent broker assess your commercial property, commercial liability, builder’s risk (where applicable), and directors and officers policies. Contact Park Insurance at 1.800.663.3739 today.